If your air conditioner hasn’t had a proper checkup recently, now is probably the best time. The hotter weather will be here soon, and air-conditioners need to be ready to work hard throughout the long summer season. If your system doesn’t get a proper checkup, there could be high expenses and days of discomfort awaiting you in the coming months. Our pricing structure is easy to understand, and we offer residential flat rate fees so you know what the repair cost is with no surprises. Because we want your repeat business, we keep our prices affordable and competitive in our industry. We welcome both commercial and residential customers and look forward serving all residents of our beautiful Treasure Coast and beyond. We offer many AC and refrigeration services, including: installations, repairs, new construction work, remodeling work, energy management, and commercial refrigeration. We maintain an inventory of parts for on-the-spot repairs. And for our maintenance agreement customers, we offer 24/7 emergency service at no additional cost. For over 35 years, we have been serving customers large and small to keep their climate control systems running properly. We are state certified as mechanical contractors, and hold various certifications with major equipment manufacturers, including: Ruud, Manitowoc, Trane, Lennox, Hayward, and more. Our experience sets us apart, allowing us to service you better. When it comes to understanding the complex world of air conditioning and refrigeration, there is no substitute for experience. Our technicians and staff are friendly, responsive, and we can be reached 24/7 for emergency service. We believe in listening to understand the specific needs and concerns of our customers, and we offer solutions that make sense for them. While top-quality AC work is the main focus of our business, it is our level of customer service that keeps our customers staying with us year after year. We believe in honesty, reliability, integrity, and communication. We are based on the Treasure Coast and provide service from Vero Beach to West Palm Beach. Our regular hours are Monday – Friday, 8am – 4pm, but offer 24/7 emergency service as well. We accept various payment types, including cash, checks, or credit cards. 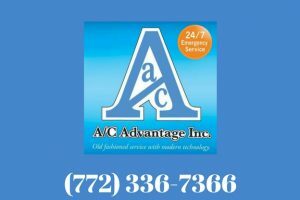 Are you tired of looking for an AC company that you can trust? Is it time to finally feel more comfortable in your home with proper air conditioning? Call us today. (772) 336-7366. We want to be HVAC/ “comfort” professionals. We look forward to speaking with you soon.